Produktinformationen "FS2Crew: FSX PMDG MD-11 Edition"
Start flying your PMDG MD-11 like a Real Airline Pilot! MD-11 pilots don't fly their MD-11s solo, so why should you? With FS2Crew, you're no longer flying alone; you're flying as part of a Team. Just like the Pro's do! Run checklists, brief your First Officer for the approach, communicate with the Purser while you perform the EVAC test - everything a real MD-11 pilot would do you can do with FS2Crew! Make your MD-11 come alive! With FS2Crew, put your skills to the test as you deal with in-flight scenarios, such as Air Rage, Pax smoking in the Lavatory or even a passenger having a medical emergency! Flight simulation has never been this exciting! FS2Crew for the PMDG MD-11 was custom coded from scratch to work with the PMDG MD11, and designed in close consultation with a current MD-11 real-world First Officer to ensure maximum realism.What you will see in FS2Crew is the way it's done in the real-world! Like flying Freight? FS2Crew models more than just Passenger Operations. FS2Crew for the MD-11 will also work with your MD11 Freighter models! Sounds too intimidating for you? Don't worry! 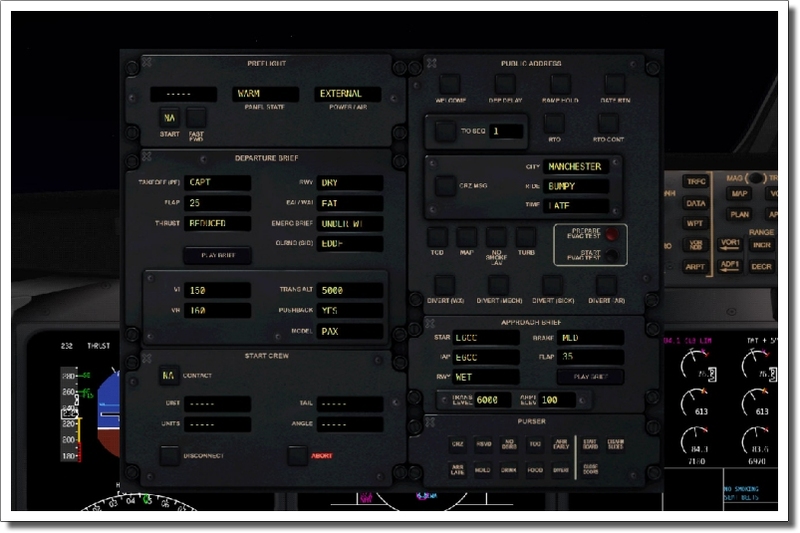 FS2Crew MD-11 comes with a superbly written tutorial that will get you up and running in no time. A condensed version of the tutorial is also available if time is tight! FS2Crew even comes with a full tutorial written by our MD-11 pilot consultant, which can also be used to help you learn to fly the MD11 the way the professionals fly it! Audio Sample 3 - Reject! Weiterführende Links zu "FS2Crew: FSX PMDG MD-11 Edition"